The Fntastic ATV tour in Cockburn Town. 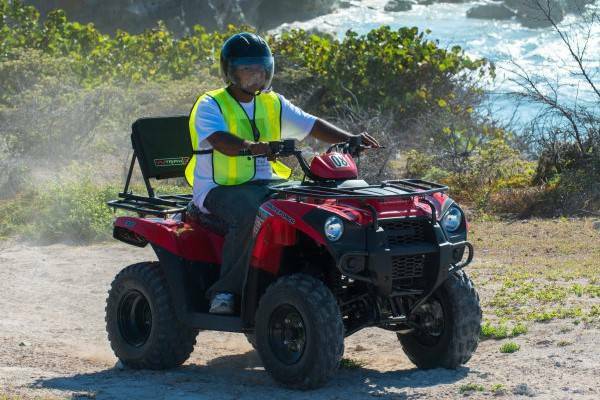 Funtastic Tours is the only provider for ATV tours on Grand Turk. Join them on their fleet of 30 new ATVs as you cruise the island. Stops include Front Street, North Creek, the Lighthouse, and the Red Salina. Free pick-up and located near to the Cruise Center. Funtastic Tours operates a fleet of modern ATVs. Last reviewed by an editor on 31 July 2018.